Is there anything more enjoyable or relaxing in this world as a good massage? As we hurry each day from work to home then back to work again, our lives are filled with stressful, taxing events. Most people do not take time out for themselves and this can harm you not only mentally, but physically as well. Not only can a massage be relaxing for your mind, but it also can leave you physically feeling healthier, especially if you suffer from back pain. A shiatsu massage originated in Japan, with the term first being used in Tenpaku Tamai's book Shiatsu Ryoho in 1915. For this type of massage, a practitioner uses his or her fingers (especially the thumbs) and palms to apply pressure to sections of your body. The pressure is used not only to relax the client, but it also helps correct imbalances of his or her body, where the chi or energy may have gotten blocked. 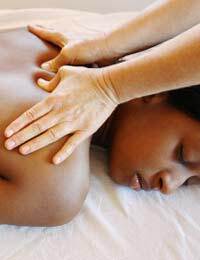 This holistic form of massage is also used to help heal or even prevent specific ailments. Shiatsu can treat not only physical ailments such as back pain, arthritis, and headaches, but also mental issues such as depression and anxiety. The benefits of shiatsu are often likened to that of acupuncture, but without the use of needles. To fully enjoy a shiatsu massage, it is important to know what to expect. Each treatment session should last about an hour. You should not be asked to remove your clothing as shiatsu can be performed while you are still fully dressed. However, you will want to wear loose fitting, comfortable clothing. You will feel pressure at some point in the massage. While the feeling of a shiatsu massage has often been described as a tingling or an intense pressure, you should never feel uncomfortable with the massage. If this happens, tell the practitioner immediately – it should never feel invasive or forced. Before scheduling a shiatsu massage, ask the practitioner how long the session lasts, what sensations you should feel during the session, and what type of environment in which the massage will be performed. To help relax you, many practitioners may use other relaxation techniques such as aromatherapy (through the use of candles or oil), soft lighting, and soothing music to help set the tone for the massage. Some practitioners may suggest other changes to your lifestyle such as diet and exercise to help your overall health. Some people simply cannot take the time out of their busy schedules to make regular shiatsu massage appointments or may not be able to afford the cost. If this is the case, you can enjoy the benefits of shiatsu in your own home with a massager. A shiatsu massage cushion and massage chair has nodules that simulate the deep kneading, circular motion of a practitioner’s fingers and thumbs. Most of these massagers also offer heating for added comfort during the massage. The cushion or massage chair generally comes with a controller, which allows you to receive an overall back massage or to centralize the kneading on one specific area. If you can, try out the cushion or chair before you purchase it so you can make sure it is relaxing and fits all your needs. A shiatsu massage is used to align your body and mind, to work on the whole being, both physically and spiritually. It allows for the flow of your natural energy, which can help you feel revitalized as well as physically healthier.